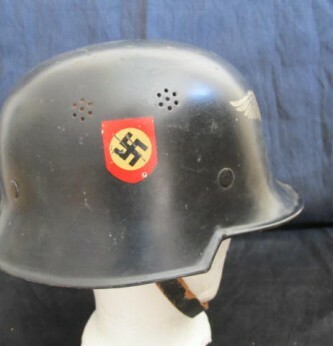 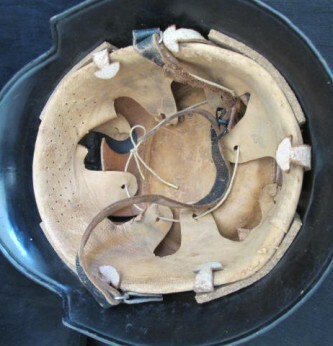 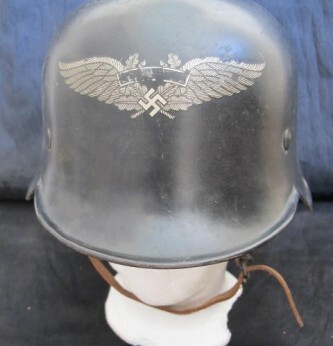 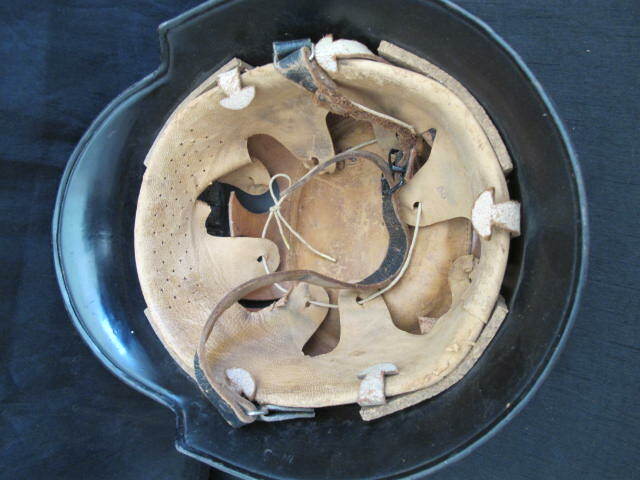 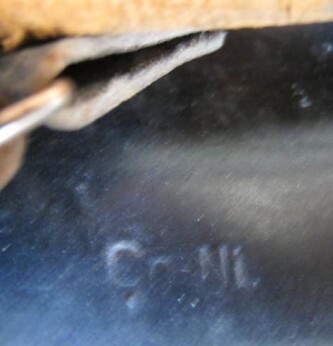 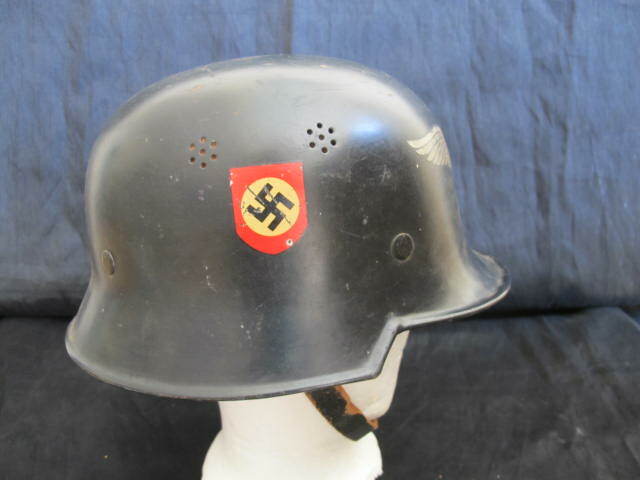 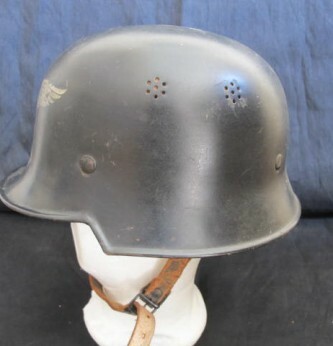 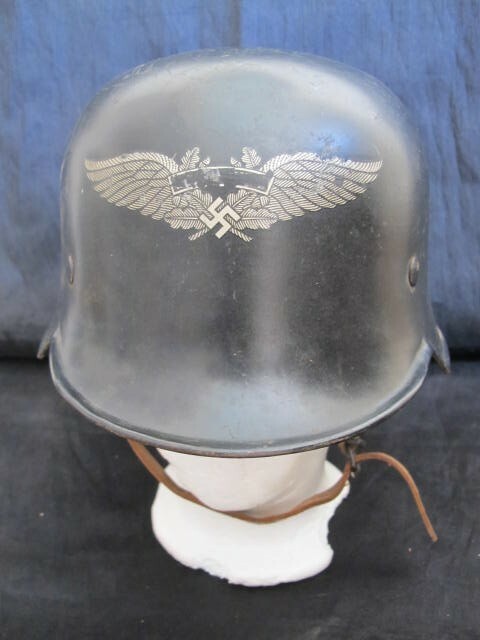 Third Reich Luftschutz factory guard helmet. 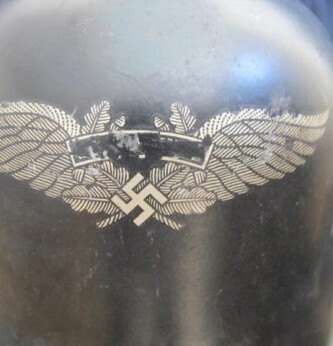 Winged Luftschutz decal badge to front and party decal to side. 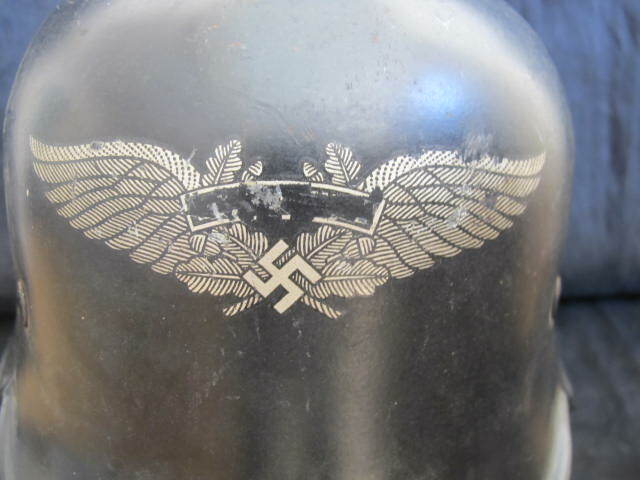 Both decals retaining 80% of original decal. 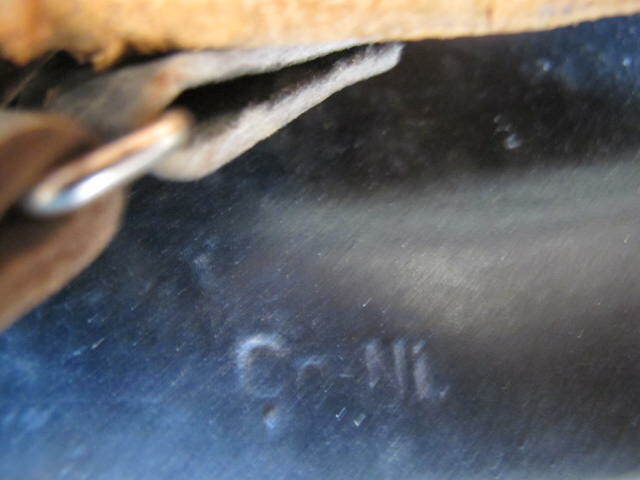 Salt and pepper air vents to side and retaining 98% of its dark blue/black paint finish. 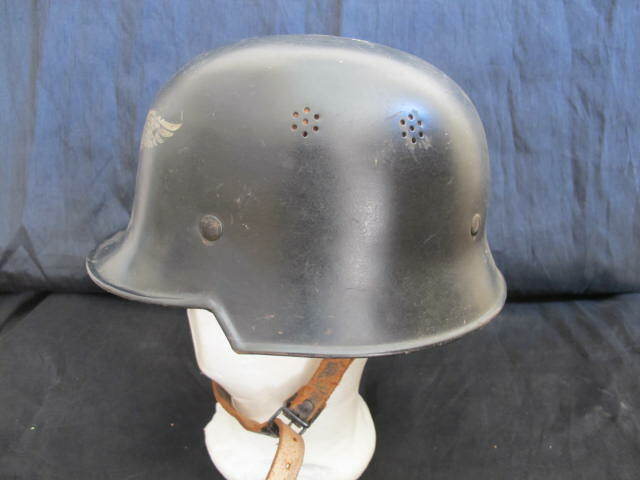 Complete with its original leather liner and chin strap in good condition.